Has a medical condition rendered you unable to work? Are you wondering if you should apply for social security disability benefits? Have you been denied? Applying for social security disability benefits can be a daunting task. Let us help answer some of your questions. 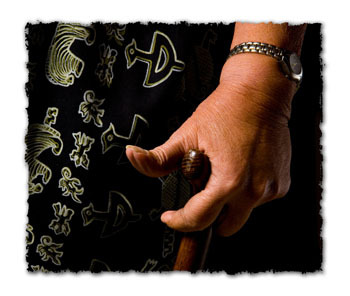 The older a person is, the easier it is to qualify for social security disability benefits. If you’re over age 55 and you cannot do any job you have done in the past 15 years, you should definitely apply. If you’re over age 50 and have a severe impairment that keeps you from doing all but the easiest jobs, you ought to apply. But even if you’re a younger person, you don’t have to be bedridden in order to be found disabled. If you’re under age 45 or 50 and you cannot do your past jobs and you cannot work full time at any regular job, that ought to be enough. If you cannot work, apply for disability benefits from social security administration (“SSA”). In person by calling 1-800-772-1213 to schedule an appointment. Although the telephone and on-line application options offer the advantage of convenience, there is some anecdotal evidence to suggest that those who apply in person have a slightly better chance of initial approval than those who apply online or via telephone. Yes. Give SSA all the information it asks for in a straightforward way. Be absolutely truthful. Do not exaggerate or minimize your disability. Be prepared to submit your application with information about your work history, medical history and daily life activities on hand. Request for Reconsideration: If your claim is denied, you have 60 days from the date of the denial notice to appeal that decision. You can file a Request for Reconsideration the same ways you filed your initial claim – by telephone, in person at a local Social Security office, or via the Internet. Currently, claims at this level take take anywhere from 4-6 months to be processed. Request a Hearing with an Administrative Law Judge (ALJ): If your Request for Reconsideration is denied, you have have 60 days from the date of the notice denying reconsideration to appeal by requesting a hearing before an ALJ. After the Request for Hearing is filed, it can take up to 2 years before the hearing is actually held. Current hearing wait times are approximately 1 year in Indiana. The hearing usually lasts under an hour and is confidential and non-adversarial. The ALJ typically will ask questions about your medical problems, how those problems affect your ability to perform work-related tasks, and also how your medical problems limit you in your daily life activities. The ALJ often will have a vocational expert present at the hearing to testify about how your medical limitations affect your ability to perform the work you did in the past or to perform other jobs in the economy. The ALJ usually announces his or her decision by mailing a copy to you or to your representative. It can take weeks or months after the hearing for the ALJ to render a decision on your claim. Review by Appeals Council: If the ALJ denies your claim, you can appeal to the Social Security Appeals Council in Washington, D.C. by filing a Request for Review within 60 days of the ALJ’s decision. You do not have to appear before the Council – it will review your file and issue a decision on the record. Appeal via Federal District Court: If the Appeals Council denies your Request for Review, you can file a lawsuit in a federal district court asking it to reverse the ALJ’s decision. At this stage, your attorney and the SSA Commissioner’s attorney file written arguments with the court. Sometimes your attorney will argue your case in person before a federal judge, but usually the federal judge rules based on the record and the attorneys’ written arguments. The federal court can deny the appeal or reverse the ALJ’s decision and send the case to the ALJ for a new hearing, or it may deny the appeal altogether. Some applicants find it difficult to maneuver through the social security system on their own and hire an attorney to assist with the initial application. However, about one-third of people who apply will be found disabled after filing the initial application without a lawyer’s help. If you feel comfortable making your way through this process, you can likely handle it yourself. However, if your benefits are denied, then it is advisable to retain an attorney to assist you with the appeals process and hearing. You will be required to file a new application, and this may mean that you will lose some back benefits. It is important to appeal all denials within 60 days. It is best if you appeal right away so that you get through the bureaucratic denial system faster. The quicker you can get to the hearing stage the better. The biggest mistake that people make when trying to get disability benefits is failing to appeal on time. Will I Be Entitled to Medicare or Medicaid if I am awarded benefits? If you are filing a claim for Social Security disability benefits based upon your own earnings and you win, you will eventually be eligible for Medicare coverage. Medicare does not take effect until after you have already been disabled for two years and five months. If your income is low enough, you will qualify for Medicaid if you win your Social Security disability case. A fee paid only if we win your case. The usual fee is 25% of back benefits recovered, up to a maximum amount set by SSA, currently $6,000.00. That is, the fee is 25% of those benefits that build up by the time you are found disabled and benefits are paid. No fee comes out of current monthly benefits. In addition to the fee, there may be additional costs which you will need to pay, including filing fees, expert witness fees, and charges for medical records and medical opinion letters.